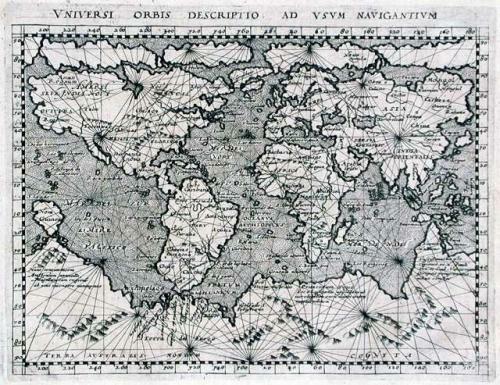 A mariner's map based on Gerard Mercator's large world map of 1569. The engraver has added a fanciful range of mountains on the southern continent. The map is crisscrossed by rhumb lines and the oceans are stipple engraved in the Italian style. Text on verso.